We are located in the centre of the gothic area, one minute to La Mercé Church, Patron Saint of Barcelona, where the players of Barcelona football team used to go when they won the championship and offered it to Virgin Merce. We are convinced that both the cosy and quiet environment of our establishment along with the services we offer, will contribute in a large extent to turning your visit to Barcelona into an unforgettable experience. 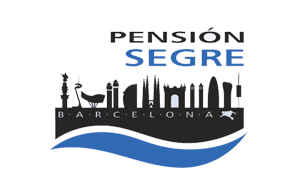 At Pension Segre you will find the greatest diversity of rooms, and what’s more, a great number of services that we hope cover the needs of all our customers. 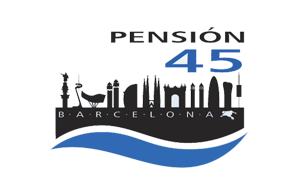 PENSION 45 is located in the old part of the Town which draws its authentic Historical Area full of life and with a unique personality. It is an attractive, active and multicultural neighborhood that offers a wide variety of tempting Coffee Shops, Restaurants and Bars. This Area also houses the widely recognized Museum of Contemporary Art (known as MACBA) just to mention the full life experience possibilities both day and night. HOSTEL SEGRE is located in the Gothic neighborhood, the oldest Part of the City and its Historical Center. Those interested in History and Culture may enjoy getting lost in its narrow streets, Plazas, Museums and also admire its glorious Past.